On Saturday, the weather was not on our side as we had to call the meet short as most teams were weary of having their athletes compete in such rainy conditions. Before the weather became too bad, we had several strong performances. In the discus, Natalie Baird won the event with an ECAC-qualifying throw of 45.47 meters (149-2). Natalie now owns fourteen of the top sixteen throws in school history. Baird came back to take second in the hammer throw with a toss of 47.12m (154-7). Erin Challis took eighth at 38.99m (127-11), a personal-best by 7.5 feet. Baird finished off a full-day when she placed second in the shot put at 12.87m (42-2.75). In the triple jump, Lynnie Bresnahan PRed with a jump of 11.33m (37-2.25) to take third. She is now sixth on the all-time athletes list. Grace Oxley was fourth with another PR of 11.14m (36-6.7) to put her ninth in school history. Freshman Sydnee Pierce ran 12.60 seconds to take third in her first collegiate 100m dash. She is now tied for 10th in school history. Also moving herself into tenth all-time was Maggie Gutierrez in the 400m dash. She took fifth in 57.97 seconds. In the 1500m, we had three women finish in the top five. Katie Buenaga led the way in second, running a PR of 4:36.94, Michelle Britto PRed to take third place in 4:38.45, and Avery Mattingly took fifth in 4:45.36. On the men’s side, Ben Katz had an outdoor PR in in the long jump at 6.96 meters (22-10) to take the win. He is now ranked eleventh in school history outdoors. In the 100m dash, freshman Michael Monti ran 11.52 seconds to take second overall, and Ben Katz was right behind him in 11.54 for third. 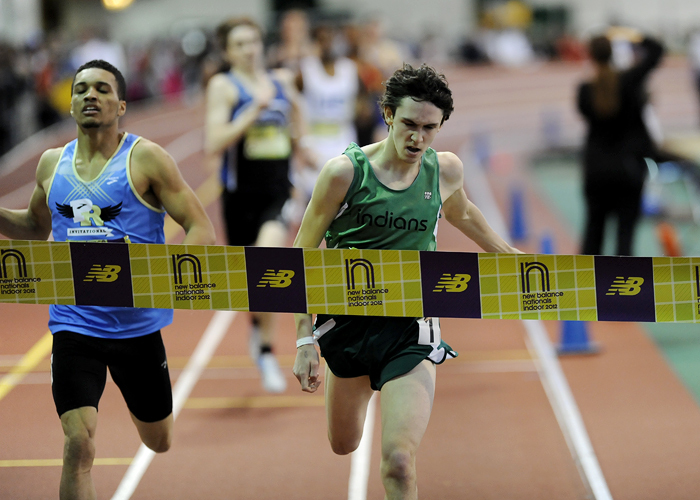 David Gunnerson won the 1500m run with a time of 3:58.17 and freshman Ian MacFawn took fourth in 4:03.03. As the track began to flood with rain, we backed off and controlled the men’s effort in the 3,000m run. Zach Tennant, Jack Anderson, Josh Mercado, and Andrew Ryan all came through at 9:30. The men got off in a big way with two sub 30 10K times. In the 10,000m, sophomore Josh Hardin ran a career-fast 29:28.07 for the win and junior Alex McGrath was third in another career-best, 29:51.31. 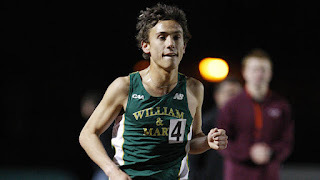 Both men came in well under the IC4A-qualifying standard for the event (31:08), and are currently ranked first and third, respectively, in the NCAA this spring, well ahead of the 30:16 that had been the top collegiate time coming into the weekend. Ed Moran got into a very deep 1/2 marathon running 1:02.51 for 17th place at the NYC Half Marathon. The entire race is above. 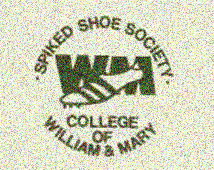 I am making some behind the scenes changes so if you have been used to getting e-mail from me from the Spiked Shoe Society site, please go there now and put your e-mail in the new slot on the right side of the page. Thanks for the minor nuisance. It is so nice to see Landry running so well. After this 13th at the NCAA XC a few years ago he went through a couple of very tough years and now seems to be better than ever. His second place time was 44:37. 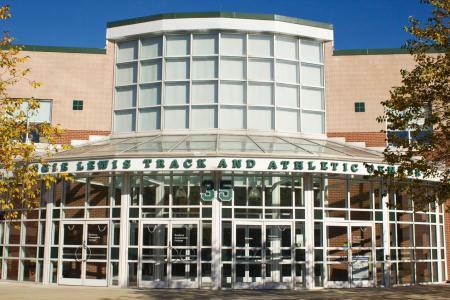 Here are the heat sheets for the IC4A and ECAC meets this weekend.